The website currently contains Google Analytics cookies which collect anonymous user statistics. This website is sponsored and maintained by Thompson Parish Council for the provision of information that the Council is statutorily required to provide and it also provides other local information that users may find of interest. Thompson Parish Council does not access information collected by these cookies and is currently working to provide a cookie free website. 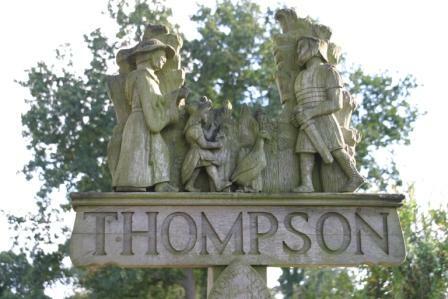 This website is operated by Thompson Parish Council who make every effort to ensure that the information and the links contained on this site are accurate, however we cannot guarantee that inaccuracies will not occur and we cannot be held liable or responsible for any loss, damage or inconvenience caused as a result of such inaccuracies. Links are provided by this site for visitors convenience and information Thompson Parish Council cannot be held responsible for problems caused by accessing third party sites nor for information contained thereon. This website is routinely maintained in order that we may provide visitors with the best service available within our means.